You are here: Home / News / Triatek Acquires Flow Safe, Inc.
Triatek Acquires Flow Safe, Inc.
Triatek recently acquired the assets of Flow Safe, Inc., a pioneering fume hood controls company based in Denville, New Jersey. 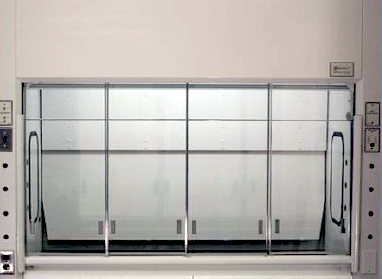 Flow Safe’s proprietary Variable Face Velocity® (VFV) technology, Stable Vortex® II Fume Hood, and corresponding Stable Vortex® Conversion Kit revolutionized the way fume hood airflow is controlled, and the acquisition uniquely positions Triatek to be the world’s premier laboratory airflow controls company. Triatek is now able to offer the broadest spectrum of airflow control solutions on the market for new laboratories, as well as cost-effective solutions to retrofit existing labs with updated technology that will significantly improve user safety and reduce energy costs. 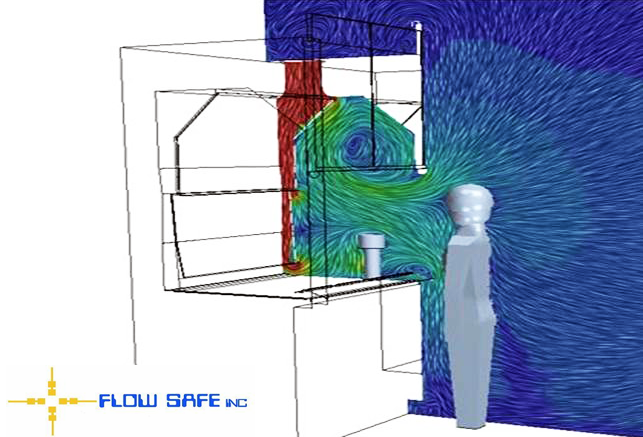 This graphic illustrates how Flow Safe’s patented Stable Vortex® works to draw air into the fume hood. The Stable Vortex® II Fume Hood is a high performance, low air volume hood that only requires 100 cubic feet per minute (CFM) per linear foot to function properly (traditional fume hoods require 200 CFM per linear foot). The patented technology creates a vortex that pulls toxic air up and away from the user, and the low amount of airflow needed to create the vortex results in a byproduct of strikingly reduced fume hood energy consumption, which translates into significant cost savings. The Stable Vortex® II’s innovative design also features a vertical triple track sash that increases the user’s visual opening and provides a full body shield against vapors, splashes, and explosions. The vertical sliding sash doors on the hood increases the visual opening while providing a full body shield against vapors, splashes, and explosions. If you have questions, or would like to purchase a Stable Vortex® II Fume Hood, email sales@triatek.com or call 770-242-1922.